It was also high enough for NAR’s chief economist, Lawrence Yun, to pronounce that 2015’s annual price could exceed the 2006 peak. Yun defines a “bubble” as home sales and prices rising at an unsustainable pace, not supported by economic fundamentals, such as steady job growth, and/or sales and prices driven by lax underwriting. Mortgage credit availability is now far tighter than it was during the housing boom, when anyone with a pulse could get essentially free money. Fundamentals, however, are another story. 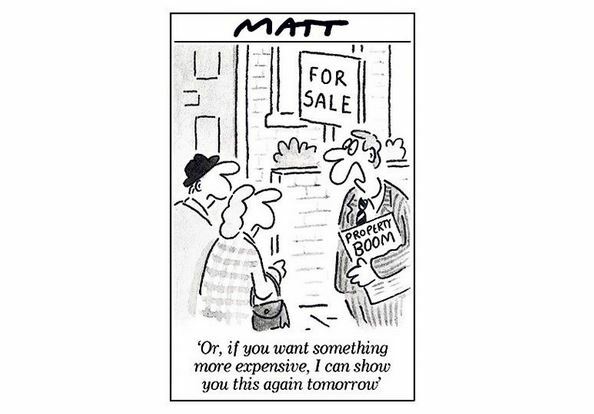 Read More: Will 2 million ‘boomerang buyers’ ignite housing? The year 2006 saw both sales and price bubbles. That is not the case today. Sales, while gaining, are still comparatively weak. This is all about prices. Today’s prices are being driven by very tight supply, increasing demand and still-low mortgage rates—not by a soaring economy. Does that still mean it’s not a bubble? Perhaps one microcosm offers some insight. Home prices in California’s Bay Area are near peak levels. The median price has increased on an annual basis for 38 straight months, amid tight supply, and the May median of $650,000 was the second highest since its peak in the summer of 2007. Sales are now suffering, down 1 percent from April and up just 3 percent from a year ago. Compare that to the 9 percent annual jump in sales nationally. Sales are weakening in the Bay Area, which Yun actually pointed out during his no-bubble explanation. Sales nationally are still gaining, but at some point prices will take their toll. Then there is the matter of rising interest rates. The Realtors group apparently “stress-tested” the rate issue, consulting some of its members, and came up with the conclusion that only when the average on the 30-year fixed mortgage hits 6 percent, will sales be affected.